Jay Z was always interested in music. As a kid, he beat out drum patterns on the kitchen table. After his mother gave him a boom box for his birthday, he began writing lyrics and freestyling. By the late 80s, he began to make a name for himself in the neighborhood. He regularly took part in rap battles, including against LL Cool J and won several of their freestyle matchups. He was featured on Big Daddy Kane's track "Show and Prove." He then went on tour with Big Daddy Kane, performing as the freestyling hype man between acts. His first track "In My Lifetime," was recorded in 1994 and got a lot of buzz, but no record labels wanted to sign him. In 1995, Jay-Z co-created Roc-A-Fella records with Damon Dash. The name was a nod to a famous Brooklyn drug dealer named Rocafella who Jay-Z idolized as a young drug dealer. That Rocafella is the one who died of AIDS and is immortalized in the NAS song "Ether" ("Rocafella died of AIDS, that was the end of his chapter and that's the guy y'all chose to name your company after?"). Damon wanted Jay to film a music video immediately, except, Roc-A-Fella Records had no money. To raise cash, Damon sought an investment from a street hustler named Kareem "Biggs" Burke. Damon took Burke's $16,000 investment and poured it into producing a music video for Jay's song "In My Lifetime" on the Caribbean island of St. Thomas. The gamble paid off and soon Roc-A-Fella records' only artist was getting courted by all the major record companies. Unfortunately, none of the major labels would agree to one of Damon's outrageous demands. Damon Dash demanded that Roc-A-Fella maintain ownership of Jay-Z's master recordings. Owning the master would turn out to be a brilliant financial decision as Jay-Z's back catalogue still sells millions of units, even more than 20 years later. Jay-Z's debut album "Reasonable Doubt" sold over 1.5 million copies in its first year. He inked a new deal with Def Jam records in 1997, and released his sophomore album, "In My Lifetime, Vol. 1", almost immediately. The album featured more polished production, more heartfelt lyrics, and reached Platinum status even faster. By 1998, Jay's album "Hard Knock Life" would sell a whopping 12 million copies worldwide making Roc-A-Fella the most important label at Def Jam. The album's main track, "Hard Knock Life (Ghetto Anthem)", became an international hit, and earned Jay a Grammy. The ensuing 54-city "Hard Knock Life" music tour generated $20 million in profits. Damon and Jay also launched a clothing line called Rocawear and a brand of vodka called Armadale Vodka. Rocawear and Armadale's sales exploded every time the products appeared in one of Jay's videos. In the year 2000 Rocawear's sales generated revenue of $50 million per year. Within a few years, Rocawear would expand to five different clothing and shoe lines and would generate $350 – $450 million per year in annual sales. In 2007, Jay-Z and Damon sold Rocawear for $204 million cash plus a potential $35 million stock bonus if the brand met certain targets over five years. At the time of the sale Rocawear was doing more than $700 million in annual retail sales. The release of his third studio album, "Vol. 2… Hard Knock Life," launched him to international super-stardom. He immediately released, "Vol. 3… Life and Times of S. Carter", and it also sold well, with fans buying up nearly 3 million copies. 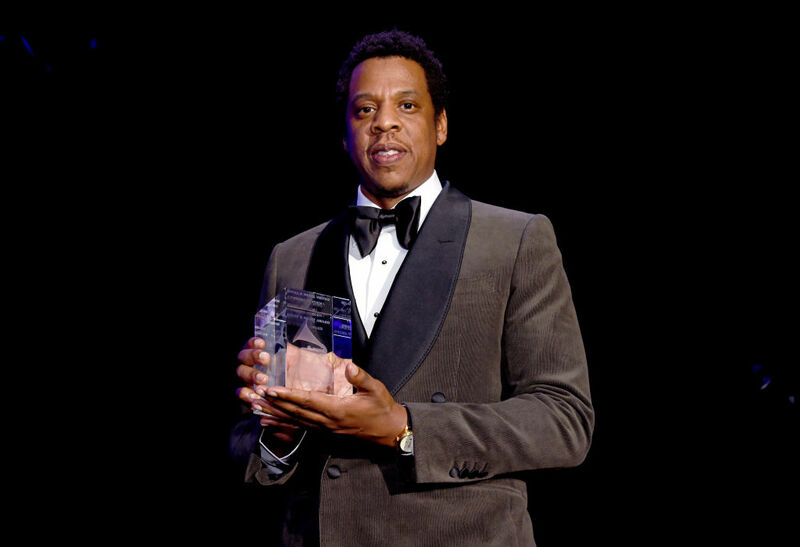 In 2004, he became the President of Def Jam Records, and subsequently took over full ownership of Roc-A-Fella Records. In a calculated move, Jay released a new album in 2006, "Kingdom Come". The album went on to sell two million copies. His next album, "American Gangster", sold one million copies. He left Def Jam in early 2008, and spent the next year touring extensively, including becoming the first hip hop artist to headline the prestigious Glastonbury Festival. From there, he launched his own record label, Roc Nation. At age 49 and with $930 million in the bank, this high school dropout who once sold drugs has certainty made his mark on the world. It seems all but certain that Jay-Z will be hip hop's first billionaire.